I get weekly pro training at the cricket asylum and net at Bridgehone CC who play in the Halifax league, however they've got loads of players and I've not long moved to the area. I'm no Sachin Tendulkar and at 39 I'm getting on a bit, but I'm sure I could do a job in someone's 3rds or mid week team and would love to get back into the fun of it all. Please contact JJ @saidtomyself@yahoo.co.uk if you are interested. What's that little ground just out of hb towards tod? That's Bridgehome cc, top lads down there and where I've netted a couple of times, unfortunately they've got a lot of players registered. Bridgehome play in Halifax league, I shall have to have a look into the craven league, cheers NM. 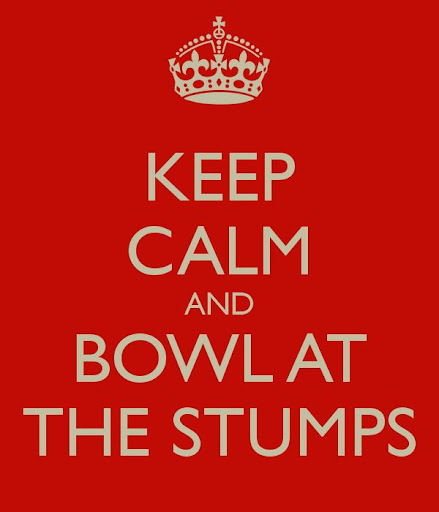 If you fancy some Sunday friendly cricket in Leeds, send us a PM. In regards to Saturday cricket, there's quite a choice if you're willing to head east towards York. I play either in the Y&DSCL or the Wetherby League and a lot of clubs just want people who are keen and team oriented. As I have mentioned previously, I support a lad with autism and got phoned up this week (as the league operates a player pool and it's a free week for my main club) asking if both of us are available this Saturday for another team. The skipper liked his enthusiasm when we played against his team earlier in the season. Many thanks, by chance do you have a link as a quick search on the web has yielded little info. Just a bump up as I'm still looking for a local club/game. @fros23 might be able to help you out on Saturdays, he plays for Headingley Bramhope in the wetherby. As long as you can get yourself to Leeds centre there are normally plenty of guys to give you a lift either to the home games in Headingley area or the away games further afield. Thanks for all the replies guys, however Leeds without a car is a little too far. So still looking as far as Manchester now. Found a club to play competitive 3rd with, all seemed rosy until i realised the best would be I was going to be was club mascot. Nets were weds where despite badging well and bowling accurately the captain was ne'er there. What about the Huddersfield or Halifax area. Several clubs round there. Not sure if you transport options are better but Headingley are still looking for players. Halifax league would be fantastic. Page created in 0.68 seconds with 42 queries.